Macha Chmakoff attended the Ecole des Beaux Arts de Paris and studied linguistics, psychology and theology there. She has two professions, painter and psychoanalyst. She is the author of Le divin et le divan; petits écueils ordinaires de la foi, Salvator, 2009. 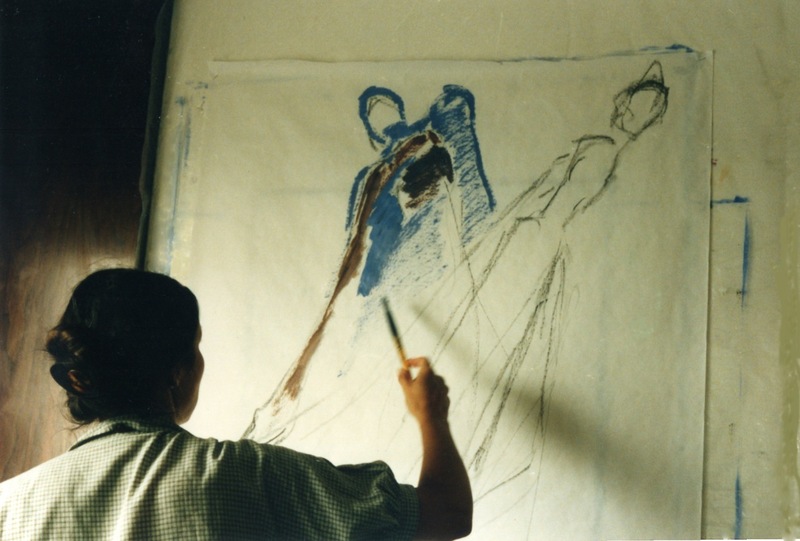 Thirty years ago Macha started painting. She has had exhibitions in galleries in Paris, Lyon, on the Antilles, in Belgium and Switzerland, as well as at religious places like the old abbeys of Tournus, of Sylvanès, of Conques, the baptismal chapel of Puy-en-Velay, the churches of St Nicolas des Champs, Ste Marie de la Source in Paris, the cathedrals of Vienne-en-Dauphiné, of Lyon, and Brussels. Macha paints by applying self-grinded pigments with knife to the canvas. Her works represent the ‘still life’ of objects and persons. She tries to depict what is behind the facade, the reality that is not directly visible. 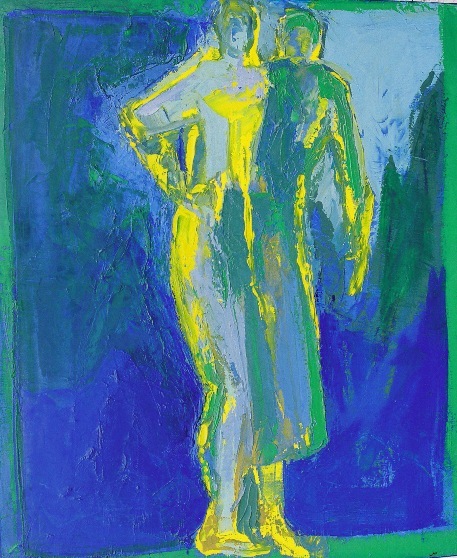 Her works are seldom descriptive and move on the edge of the figurative. Because of their suggestive nature they allow the viewer room to participate in the interpretation. In this way viewers are invited to discover new things in themselves. 1. 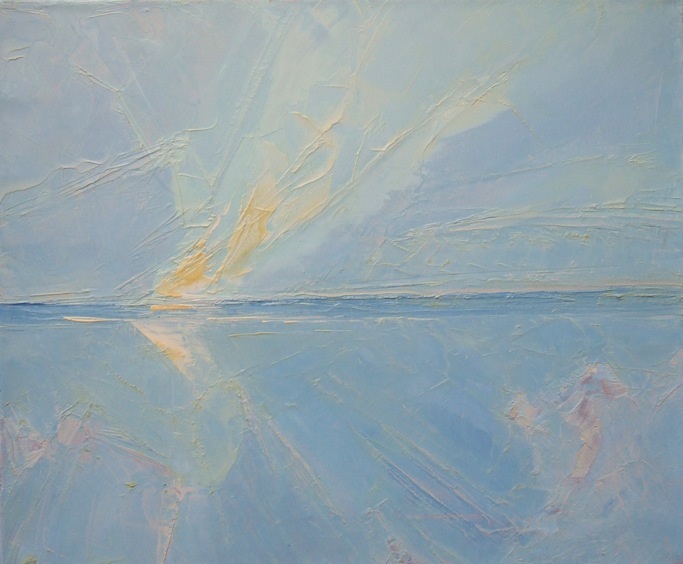 Horizon with Hazy Glow, 55 x 46 cm. 2. 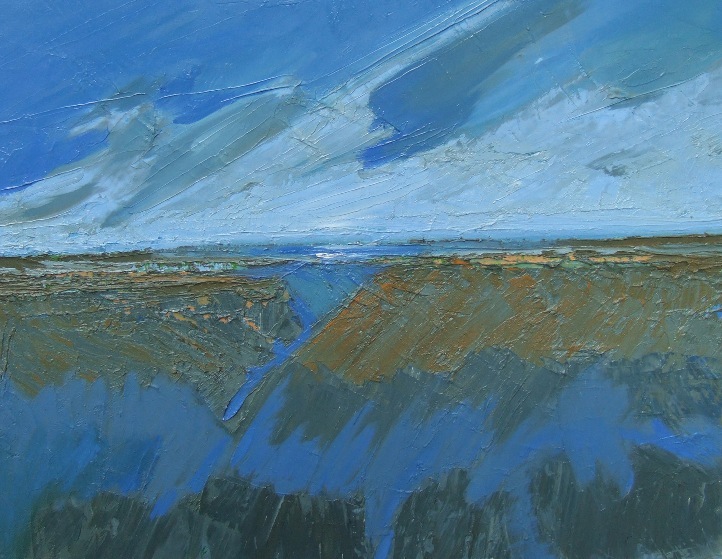 Brown-blue Horizon, 65 x 54 cm. 3. Entry into Jerusalem, 61 x 46 cm. 4. 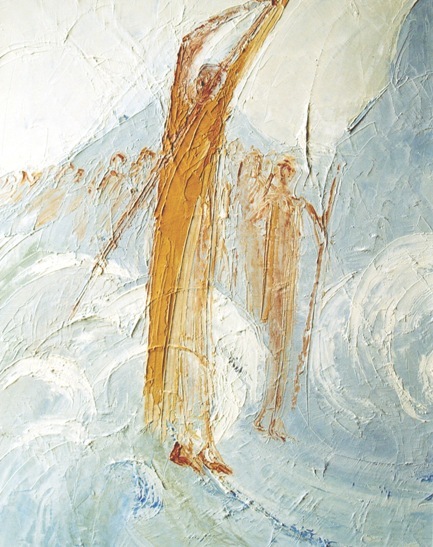 Passage through the Red Sea, 61 x 46 cm. 5. 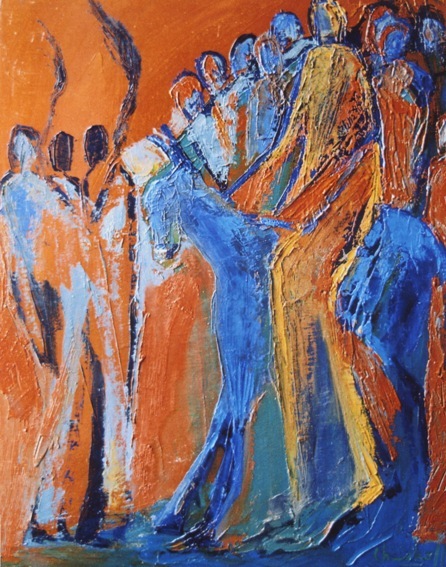 The Good Samaritan, Support, 65 x 54 cm. Macha Chmakoff: Le divin et le divan; petits écueils ordinaires de la foi, Salvator, 2009.